The following individuals have completed all levels of engagement in the CIRTL@UCLA Program and have achieved the highest level of engagement- CIRTL Scholar Status. Teaching-As-Research (TAR) Presentation: February 8, 2019, CEILS Journal Cub. Nancy undergraduate education in Biology and Psychology at Whitman College in Walla Walla, WA introduced her to the value of excellent teaching. Following college, she earned a Ph.D. in Neuroscience at the University of Minnesota. 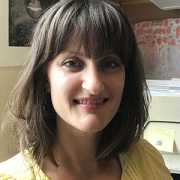 In Dr. Stephanie White’s lab at UCLA, where she is completing her postdoctoral research, she study how human langauge-related genes influence vocal learning in specific brain regions of zebra finch songbirds, an animal model essential for elucidating the neural mechanisms that underlie speech. As part of the CIRTL group at UCLA, she has learned how scientific teaching can improve the classroom experience for both students and instructors, which will be extremely helpful as she begin as an Assistant Professor of Psychology at Whitman College in Fall 2019. Teaching-As-Research (TAR) Presentation: February 1, 2019, CEILS Journal Cub. 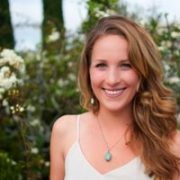 Katie is a PhD candidate in the Molecular, Cellular, and Integrative Physiology program at UCLA and researches treatments for paralysis caused by spinal cord injury in the laboratory of Dr. Patricia E. Phelps. 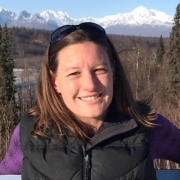 Aside from her research, Katie is also dedicated to help improve both undergraduate and graduate education in the Integrative Biology and Physiology department. 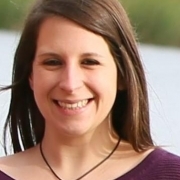 After having been a TA for a lower division life science course and an upper division neurodevelopment course in which she helped implement changes to allow for more active learning, she became the teaching assistant consultant/student instructor for her department’s graduate student TA training course. Inspired by her own experience and those of her peers, she implemented several changes to this class in order to better prepare and encourage new TAs to use more evidence-based practices in their discussion sections. Wanting to assess whether the changes she made were benefiting the TAs or not led her to CIRTL and was the focus of her Teaching As Research project. Katie has also worked as a graduate student mentor for the Undergraduate Research Center and served on the Biological graduate Student Council for two years during which she co-developed a quarterly event that aims connect undergraduates looking to get into research with graduate students, post-docs, and PIs in need of help. Outside of lab and class time, Katie enjoys hiking and traveling (or at least as often as possible on a graduate student budget) and, of course, spending time with her wife, family, friends, and cats. Teaching-As-Research (TAR) Presentation: November 30, 2018, CEILS Journal Cub. Elizabeth is a PhD candidate in the department of Physics and Astronomy at UCLA, and 2017-2018 recipient of the Charles E. and Sue K. Young Graduate Student Fellowship award. From 2015-2017, she spearheaded her department’s 2017 hosting of the APS Conferences for Women in Physics, and from 2017-2018 helped design and implement UCLA’s Physics for Life Sciences (5 series) laboratory revisions. She currently researches neurophysics in the laboratory of Professor Katsushi Arisaka, investigating correlations between EEG neural activity and human behavior. 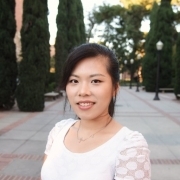 She continues to support UCLA’s Physics 5 series labs as the learning assistant instructor, teaching assistant coordinator, and student surveys administrator. In her free time, she enjoys playing soccer, practicing yoga, and bodysurfing. 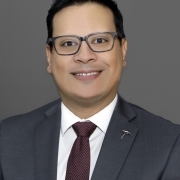 Teaching-As-Research (TAR) Presentation: The 2018 Institutional Research and Academic Career Development Awards (IRACDA) conference. Upper division human physiology courses are structured to include numerous topics, typically require memorization of seemingly disparate concepts, and lacks application to a student’s experiences. Previous studies have demonstrated efficacy of experiential learning, such as lab and inquiry-based learning in improving a student’s performance in STEM courses. 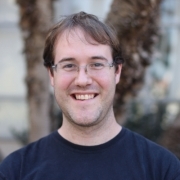 Through the use of experiential learning activities, I aimed to clarify and connect previous general physiology functions to neuroscience-specific topics. To determine whether experiential learning activities can improve student performance and understanding of neuroscience concepts I used pre- and post-quiz assessments at the beginning and end of each class, respectively. In particular, the quizzes contained questions that employed several levels of Bloom’s taxonomy. Students improved from pre-quiz to post-quiz, but there was no improvement in questions that utilized higher Bloom’s taxonomy. Furthermore, there is evidence that experiential learning activities did help to clarify neuroscience concepts. Together, these results suggest experiential learning activities is useful for neuroscience-specific topics and can be further refined to engage students in higher Bloom’s thinking. Helen received her PhD from UCLA in 2015. She is a recipient of the Jules Stein Eye NIH Predoctoral Fellowship and Jules Stein Eye Institute Research Excellence Award. She is currently an NIH-NIGMS IRACDA fellow in the Department of Integrative Biology and Physiology. In the lab of Dr. Elaine Hsiao, she is studying the influence of the maternal microbiome on fetal neurodevelopment and offspring sensory behavior. In her free time, she enjoys hiking national parks and cooking. Many STEM courses include group work as a component of their assessment structure. Group projects have the potential to promote collaboration, foster leadership and organization skills, and lead to creative outcomes. However, they can also act destructively to drive divisions among members, create unequal work load distributions and create poorly organized work products. This leads to negative student learning experiences and creates a culture of undergraduates that avoid collaboration with their peers. Many educators rely on the fact that students need to gain skills that relate to group organization and effective collaboration for their future careers and thus continue to encourage group projects in their courses. However, the classroom environment is different than the workplace for many reasons. Students have different backgrounds and skills, they often have different grading structures and thus different goals for the class and their motivation in the course subject varies greatly as well. Some are taking the class simply as a major requirement, where as others are hoping to gain skills and knowledge that will enhance their future careers. All of these differences do not accurately reflect a workplace environment that guarantees a more concrete baseline of interest, skill level, and personal accountability. Thus, student group work should be much more focused, organized and directed to achieve the goals of constructive group projects. To better understand how to best implement effective group work, Elizabeth conducted a study on the impact of different temperament composition on group dynamics in an upper division biology lab course. Specifically, she had all students take the “16 personality test” online and then assigned students to groups that were either homogeneous extroverts, homogeneous introverts, and heterogeneous, with equal ratios of introverts and extroverts. All students were given explicit instructions on workload allocation between members and were held accountable through individualized grading schemes even though each group was creating a single work product. Groups were monitored using indirect assessments such as check-in meetings and directly assessed through their lab report grades. At the end of the quarter Elizabeth conducted a survey asking students to elaborate on their group experience and determine what specific aspects they liked and disliked about their group dynamic. This talk will discuss these results and give suggestions to improve the undergraduate experience with group projects. The achievement of learning outcomes is partly affected by students’ prior knowledge, which can be an impediment if their prior knowledge is incorrect. Active-learning strategies such as think-pair-share and group-based problem solving have been shown to increase learning gains. To determine whether in-class activities can eliminate misconceptions and help students retain information over the duration of the course, I incorporated different types of activities to address course topics and I administered surveys intermittently throughout the 16-week semester to assess student knowledge. In this talk, I will show that one-time in-class activities may help students recall information and reduce misconceptions for the upcoming exam, in the short term, but knowledge is not retained weeks later at the end of the semester. However, when students are interacting with the course material with recurrent, varied activities, there is evidence that longer term retention occurs. These results suggest that learning outcomes should align with several types of activities over time to ensure long-term retention. 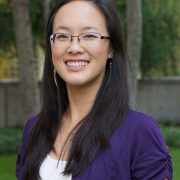 Jenny Link is a postdoctoral fellow in UCLA Postdocs Longitudinal Investment in Faculty Training (UPLIFT) program. In addition to a traditional postdoc experience, UPLIFT fellows receive pedagogical training at UCLA and put their training into practice at our partner institution Cal State Los Angeles. 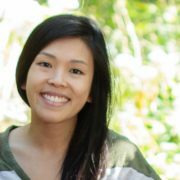 Jenny works in the laboratory of Dr. Elizabeth Tarling and Dr. Thomas Vallim, investigating the effects of novel genes involved in bile acid and cholesterol metabolism. 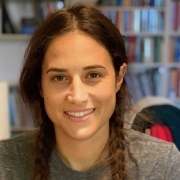 In Fall 2017, she taught a lower division evolution, biodiversity, and ecology course with Dr. Paul Narguizian and conducted her teaching-as-research project, which is the focus of this CEILS journal club. Upon completion of this presentation, she will become a CIRTL Scholar. Francie used her CIRTL training and leveraged her engagement to negotiate a higher salary for her position. Xinnan is managing the UC Riverside NASA FIELDS program, which provides formal education/research opportunities for students/scholar ranging from high school to postdoc levels. Shuwa has gone on to be a post-doc at Cal Tech and is planning on continuing to teach and implement her TAR project.